7 days $33 valid for 1 week from date of purchase. 1 month $44 (from date of purchase). Pensioner Annual $44 (valid from date of purchase until expiry 1.3.20) Submitted with proof. ALL BEACH PERMITS TO BE AFFIXED TO THE LEFT-HAND SIDE BELOW THE TINT AREA. ​You can either download and apply online or visit one of the below local outlets to apply in person. A current drivers licence and vehicle registration is required. To apply for an permit online please download, complete and submit via email to info@belmontwetlands.com.au or mail to Belmont Wetlands State Park. Box 7151, Redhead NSW 2290. Visit one of the below local outlets to apply in person. A current drivers licence and vehicle registration is required. On-the-spot fines of $220 apply ​if conditions are not respected. ​All vehicles must comply with NSW Road regulations as well as all regulations outlined in the Permit Guidelines, including speed limits, blood alcohol limits and licensing of drivers. 4WDs need to take particular care for pedestrians, dogs and children within the Park, especially around sand dunes where families walk and picnic. Locked gates, blocked walkways and signage must be complied with. 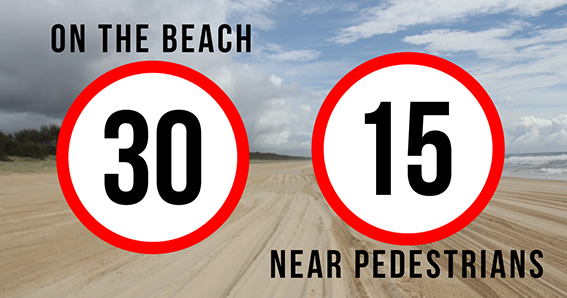 All vehicles need to stay off regenerating sand dune and bushland areas. Sand Dunes are highly sensitive environments. Stay on cleared tracks and do not drive into vegetated areas or make new tracks. permit to your vehicle to avoid being fined. allow seven days for mail delays. of Nine Mile Beach, Belmont NSW, by 4WD Vehicles’. Council signs without a current beach permit. Belmont Golf Club or Hunter Water Corporation. • Pedestrians have right of way at all times. - 15km/h within 30m of pedestrians. • Vehicles should stay 5m away from other vehicles. • Reduce tire pressure to 12psi. • No driving on vegetation in restricted areas. beach or along the tracks. responsible for your own safety and that of your group. - and Awabakal Ave, Blacksmiths. the dunes. Your cooperation is appreciated. animals and the safety of other beach users. • No parking or camping on sand dunes or vegetation. and storm damage or if considered essential. waste skip bins are located at the site compound. ​​What penalties apply? Penalties of $220 will apply for vehicles not displaying a current permit sticker, driving contrary to the regulations, driving in an area from which vehicles are excluded, breaking NSW road rules including driving in a dangerous manner, damaging native vegetation and illegal dumping. What is the process for getting a permit? Can motor bikes and quads get a permit? No. Motor bikes and unregistered vehicles have never been allowed in the State Park. Who does the money go to? Permit revenue will be retained by BWSPT to fund a Ranger who will be present on the beach and dune areas to encourage beneficial use of the area and to enforce infringements if necessary. Fines will be paid to the Revenue NSW Office. Exemptions: Awabakal descendants are welcome to apply for exemption on application with proof of certificate of membership with a completed beach permit application. These applications must be submitted to BWSP and are not available at permit outlets.